So far running since the end of last season, each week when the sun has been out so have we. Each Thursday, we have set up our outdoor net at 7pm to bring the club together for two hours each week. 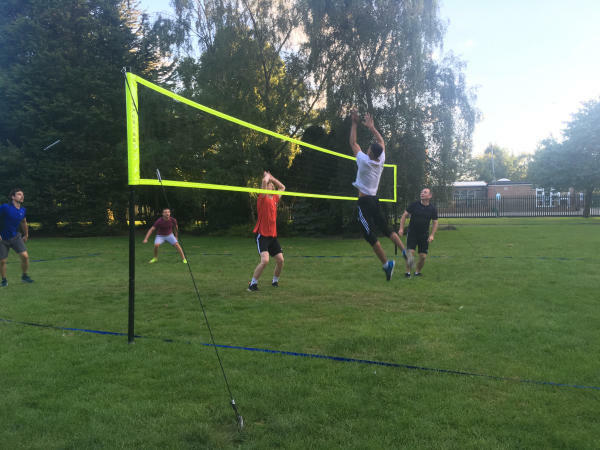 Our great coaching staff have been on hand each week to provide small coaching for the largely recreational sessions, which have provided fun and fitness once a week for all volleyball enthusiasts. Proving successful, every session has had large amounts of participation with numbers always exceeding expectations. Not only this but we have managed to catch the attention of the public, having a few gazes even some stop to talk to us about volleyball. Not only have the sessions proved successful at each session, but we have also gained publicity from these through our facebook page with many enquiries on how to join the club and get involved with volleyball. The session will again be running this week at 7pm on thursday, hopefully we will see some of our new, old and current faces there. Looking at great warm weather & Hopefully a great session! 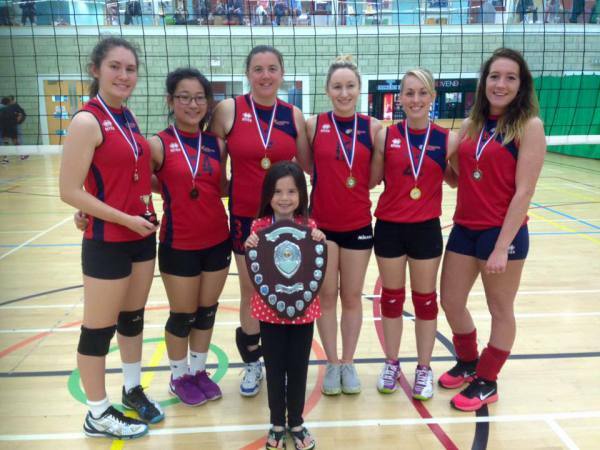 Nuneaton entered two teams into the Cardiff Open Indoor Volleyball tournament, one mens and one womens! The level of play over the weekend was extremely high but the mens team were able to fight their way to second place in the plate! 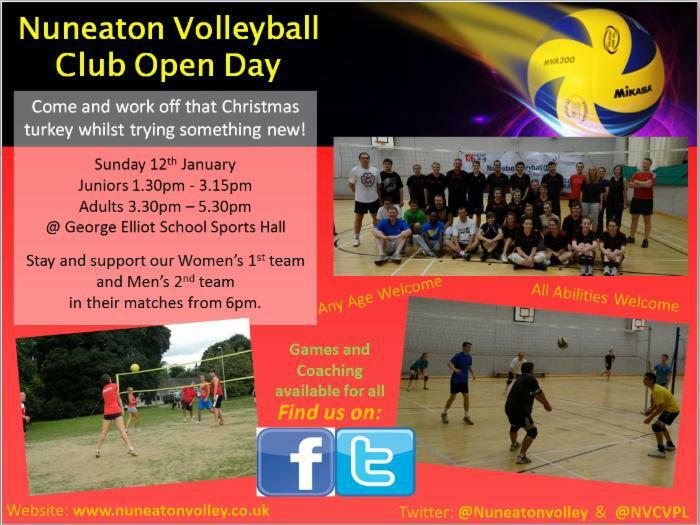 September also saw Nuneaton Volleyball Club run an Open Day at George Eliot School. The event is ran every year with the intention of drawing in new people and players, open to any ages and any abilities! This year the event was another success with several new recruits brough on board! The clubs existing members help put on the event, running drills, providing coaching, followed up with some fun games! 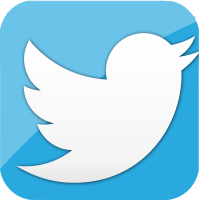 We want to try and put another open event on later in the season so keep an eye out on the home page for upcoming events!! NVC helped the NB Leisure Trust run a Disability Fun Day, setting up an outdoor volleyball court and encouraging locals of all ages and abilities to get involved in volleyball! The day was a fantastic success with over 150 people turning up throughout the day to get involved in the fun! 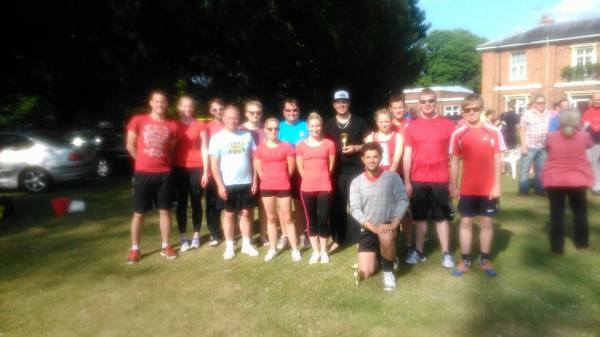 Nuneaton enter 2 mixed teams into the local Coventry Riga Tournament. It was a little wet to start the day but that didn't dampen our spirits. A fantastic day out for the club! Our Ladies win the West Midlands Plate Final! Both men's team win to start off a great new year! 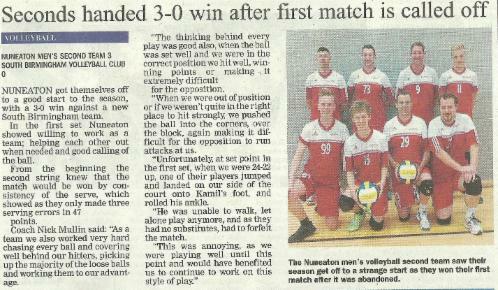 Nuneaton volleyball club makes headlines with their first match report in the Nuneaton News! Nuneaton open their doors for another successful open day.